I have been to 8 of the 9 Body Powers, and I’ve seen it grow and become all encompassing and now in its 10th year, they are going with a huge event complete with a Las Vegas theme, starting Friday 11th May 2018 running until Sunday 13th May 2018, it should be huge. 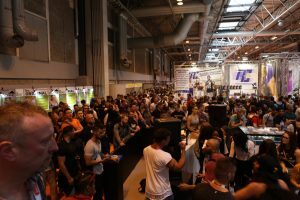 The main event is looking like it will be huge, with big names in the boys corner like Flex Lewis, Kai Greene, Christian Guzman, Ryan Terry, Martyn Ford, William Bonac, Aaron Lambo, Dorian Yates, Kris Gethin, and over in the ladies corner will be Paige Hathaway, Louise Rogers, The West Twins, Gal Yates, Courtney Black, Carly Thornton, Char Borley and I hope to see the lovely Kate Errington sporting her pro card too. Over in the “Something Else” corner we have the amazing Bionic Body, a double amputee who proves you can success if you want it badly enough, and along with Terry Hollands, and Bill Kazmeier we have The mo’fo’in MOUNTAIN! 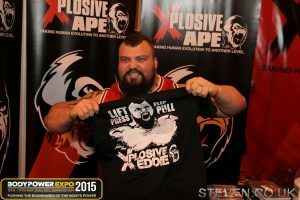 Yes Hapthor Julius Bjornsson, Game of Thrones The Mountain will be in the house, along with Zydrunas Savisckas. All we are missing is Eddie Hall (who is in York on the Friday doing his Tour) but could make an appearance Saturday or Sunday, and Brian Shaw who was sorely missed last year. Sadly this will be the first year, the late Rich Piana won’t be around but the 5% Percent stand should still be there to offer drive and advice to the 5%ers, and worth a visit if only to see the monster that is Martyn Ford. This year it also has a large Trade Village with B2B Sections (Business to Business) located in Hall 6 to stock up for your business needs, which is free to register and attend (doesn’t include the main show). If your a website owner, affiliate marketer, or in anyway selling products via a Gym, Shop or Concession, or even if you want to get into the sector, you really should make your way down there. You can get samples of the products so you can provide some SOLID reviews, I never review or endorse any product I haven’t personally tried, and events like this provide the opportunity to try out and discover new products. You may also be able to source boxes of samples to send out to customers as well. A few years ago, The Curse gave me a box of 250 samples, which I sent out 200 customers (I gave 50 out in my gym) and out of those 200 customers, I gained almost 35% orders for that product. I targeted customers who IMO bought a weaker pre-workout and would really notice The Curse kick. I was able to do this as I had sampled many pre-workouts at shows like this. 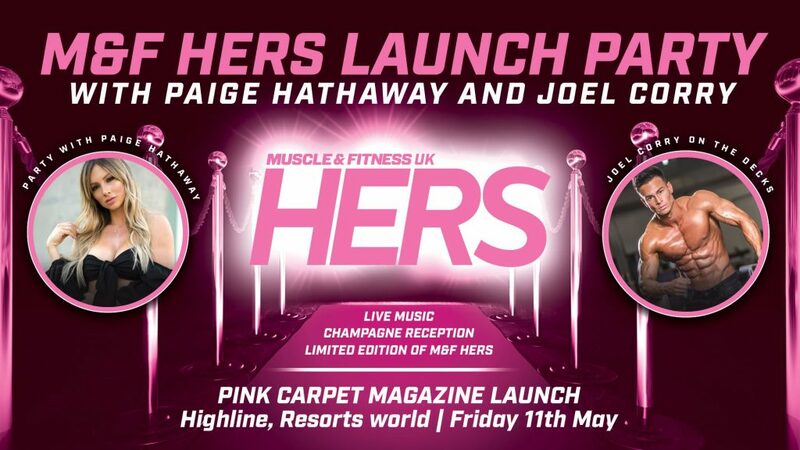 The M&F HERS Launch Party looks like it will be a killer event, hosted by Paige Hathaway who is absolutely lovely, and takes time with her fans, along with the Late Rich Piana, Michelle Lewin, Steve Cook and Kai Greene I’ve not seen many people take so much time with their fans but Paige took time answering questions, offering advice and encouragement to so many. Muscle and Fitness Magazine is launching a womens only version of the magazine, which is probably long overdue, male based magazines just don’t cut it. Men want big arms, big chests and muscular legs but women a toned waist, a perky bum and firm thighs so the more magazines aimed at women the better. 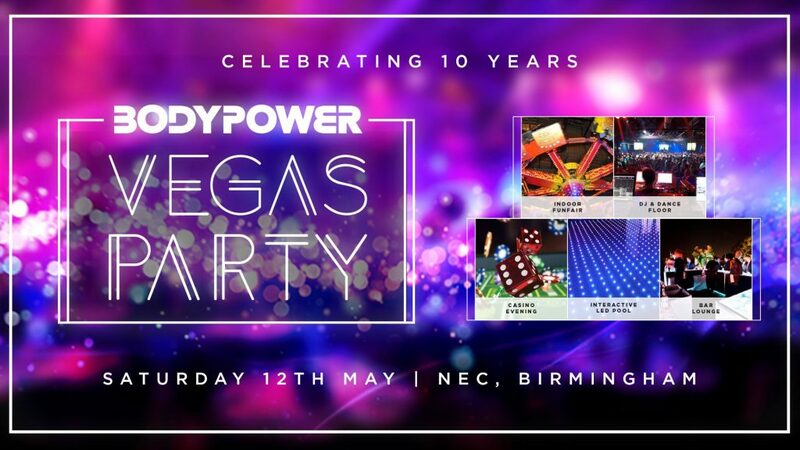 The Body Power Vegas Party looks like it will be a stonker too, to celebrate the 10th Anniversary, BP are going big, indoor fun fair, an interactive pool, casino games and more. I’m not quite sure what to expect but it sure as hell looks fun and I’ll be there. I figured I’d post a little flashback set of images from the previous few Body Powers where I have been taking photos. I really need to dig up 2012 and 2013 images. When I come across them I’ll post them as a flashback. 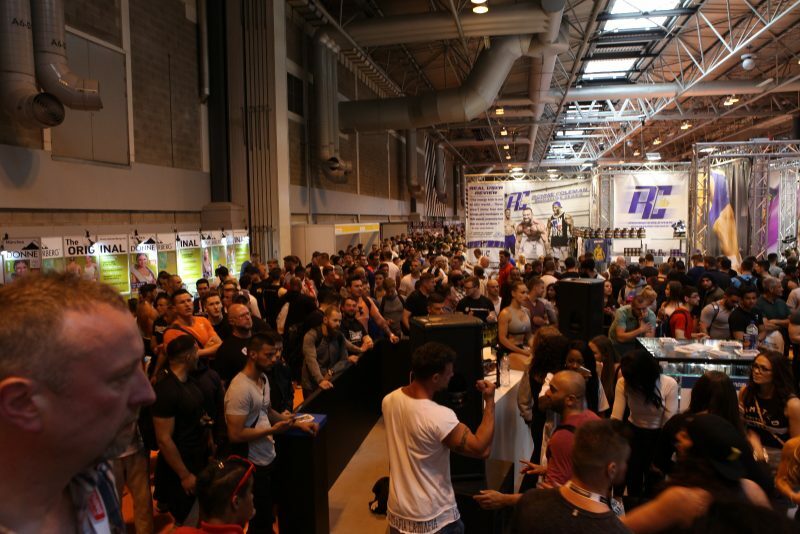 As you can see its going to be a hell of an event, you can find more information out on the Body Power Website. 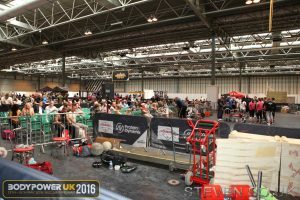 I recently attended the Body Power Expo in the capacity of a Photographer, this were my 4th Annual Body Power event. 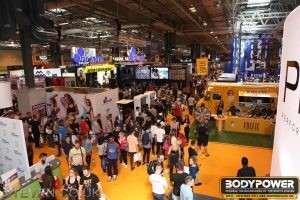 Its interesting to see the Fitness and Health scene in the UK Evolving as this expo is almost like a “snap shot” of the industry; you can almost watch its growth and diversification. In some ways it reminds of my first Gym 1996/7, what looked like an old public toilet on the edge of an industrial complex (Mirrlees Blackstone), it had concrete flooring, a bit crap cord like carpet, a radio so old I’m saying a wireless, it were stuck on local radio which were KISS or Galaxy. No heating, no showers, a toilet with the box like 7ft high. I think 2-3 machines a bike, an form of elliptical and a basic rower. Hardware wise, a dozen bars, a tonne of plates, half dozen benches oh and a Rack in 1 corner and that were it. Many gyms were like this to various extents. Fast forward to my current gym 2016… 2 floors, 5 different types of exercise bike, chest press machines, diverging lat pull down machines, lateral raise machine, cable pod, 8 stack, trx, rope trainer, loads of machine, video based music, studio place, brightly lit, toilets, showers, kinds small on the weights but still 2 racks, 2 smiths, a dozen benches etc, and its open 24/7. Thinking back over Body Power its the same thing. 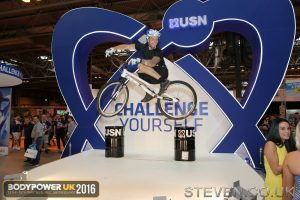 This year there various brands some old and some new choosing to launch their brand or new product at the show. My first year, there were literally no newbies, it were all the old guard as it were. I think the first major new brand I saw launch there were NOVO who make protein bites, which look like a quaver only smaller, don’t taste as good as a quaver though, but its protein and snackable. It falls in the “flexible dieting” and “protein snacks” categories. This year existing companies were launching new products, Reflex nutrition launched their new protein coffee, with a stand dedicated purely to the 1 product. Mars were pushing their new Snickers and Mars Protein ranges and various others. On a smaller scale, some new brands like “Serious Ammunition” with their Bullet Reloaded product, then “Active Sport Nutrition” were launching Zombie Juice, another new brand were TNT. There were sooo very many others which I can’t list here. Some of the past product launches are now rapidly growing into major brands; NOCCO is one which stuck in my mind. I commented on in another blog post, which is an awesome product. 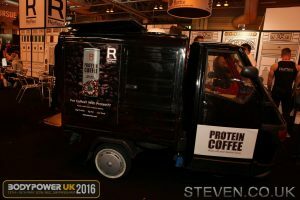 Another would be NOVO who make protein bites (crisp), 3 yrs ago their stand were small, it were about 5-6x bigger this year with some fairly big name athletes on it such as former Miss Netherlands Dounia Rijkschroeff. 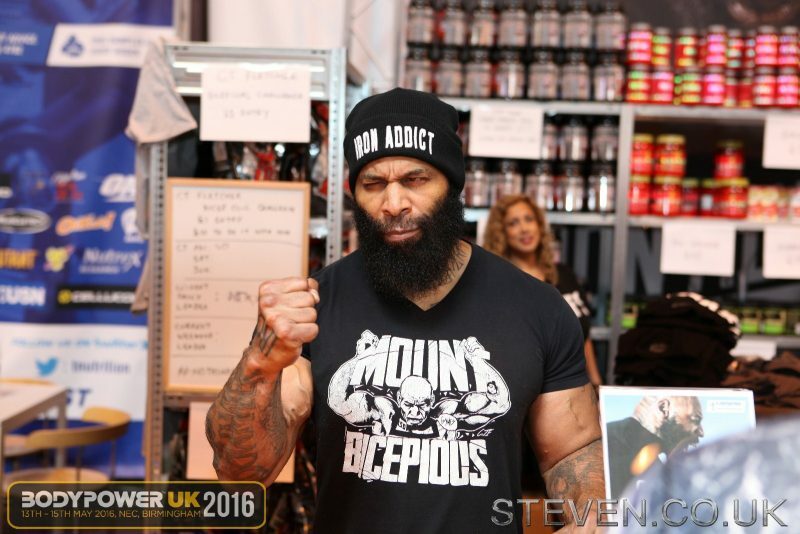 This year also some of the old guard attended for the first time like MyProtein, who came packing mini-guns to mow the competition down. I think they literally brought EVERY athlete they sponsored. 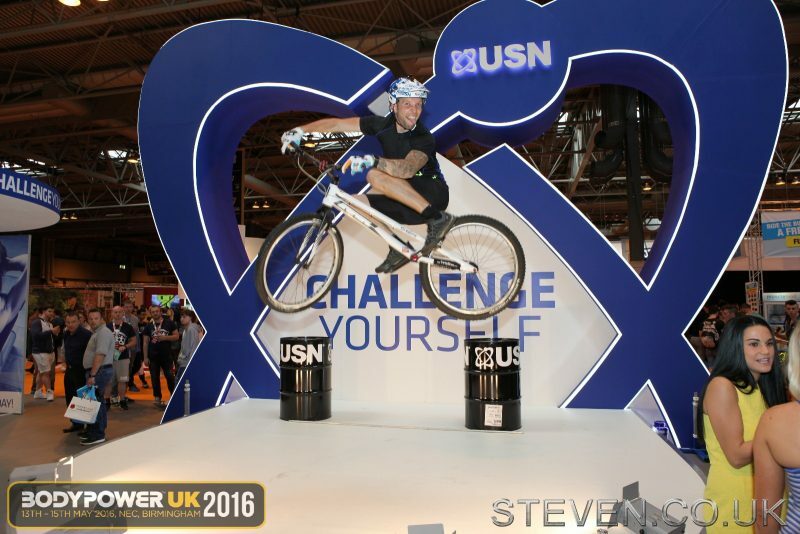 USN were dominating the expo, they sponsored the main stage, the pro IBFF show, they had their own little mini stage, which were HUUUUUGE. One their newer products tastes amazing the B4-Bomb Extreme (Cherry). I tried sooo many of their products. Which I guess is the point of all the samples, to try them all so you pick the brand for life. I must have tried 40 different proteins, a dozen pre-workouts, 2 dozen bcaa’s and various cookies, muffins, doughnuts and bars of the weekend. A few different products I have gone on to purchase. This year there were strongmen, insta-famous, inspirational, physique, bodybuilders, body transformers, bikini, clothing, equipment, supplements, food, snacks, MMA, boxing and even medical services making the event what it is. The list of names is, and were endless, the top of their game. I really wouldn’t know where to start with such a list. However some of the biggest pullers were Paige Hathaway and Michelle Lewin on the FitFuel Stand, Steve Cook on the Optimum Nutrition Stand and Christian Guzman on Alphalete Stand. Below is a 360 view of the queue for Paige Hathaway, the queues for the others were equally impressive but had no vantage point. The fitness and health sector in the UK is growing at a crazy pace, a truly astonishing rate.